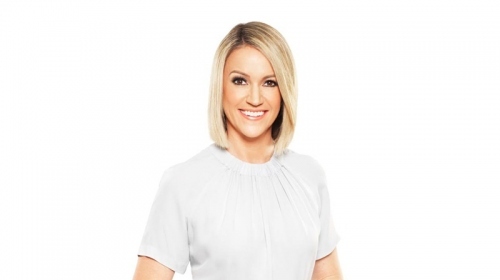 Leila McKinnon is one of the Nine Network’s leading journalists and presenters, and is currently a reporter and fill in presenter for Nine News and A Current Affair. Leila’s journalistic career started in 1993 when she accepted a cadetship at WIN Television in Rockhampton, before moving to WIN’s Cairns bureau. In 2005, she was appointed news presenter for Today. From there, she returned to present the morning bulletin for National Nine Morning News. As a reporter for ACA since 2008, Leila has covered everything from Australia’s increasing gang problems and drug issues, to party-boy Cory Worthington, an interview that went viral and became a YouTube sensation. In 2006 as a foreign correspondent for the Nine Network in North America, Leila reported on storied such as Jayant Patel; the doctor who’s since been extradited to Australia to face charges of negligence related to the deaths of patients in a Mackay hospital, as well as spending time at Guantanamo Bay covering the trial of accused terrorist David Hicks. Whilst abroad, Leila also reported for the first two seasons of the smash hit prime time show What’s Good for You. Upon Leila’s return to Australian, she was announced as co-host for Weekend Today alongside Cameron Williams, with Amber Sherlock and Michael Slater presenting the news and sport. The show was later extended to include Saturday mornings. In 2012 Leila co-hosted Nine’s award-winning coverage of the London Olympic Games and conducted the first live interview with Princes William and Harry. An avid cook, Leila is the editor of the best-selling cookbook Australia’s Favourite Recipes (2012), which raises money for the charity Legacy and features the family recipes of ordinary Australians. 2017 was a big year for Leila, seeing her team up with Neil Breen to co-host The Way It Was – a podcast which dissected the weekly news cycle. In addition to Leila’s illustrious media career, she is a profound public speaker and is available for MC and keynote speaking. Outside of the news, Leila loves spending time with her family, husband and two children Ted and Gwendolen.